According to figures obtained from the Land Tax Department, the volume of transactions in the market have declined to levels which pre-date 1992 (See figure 1). 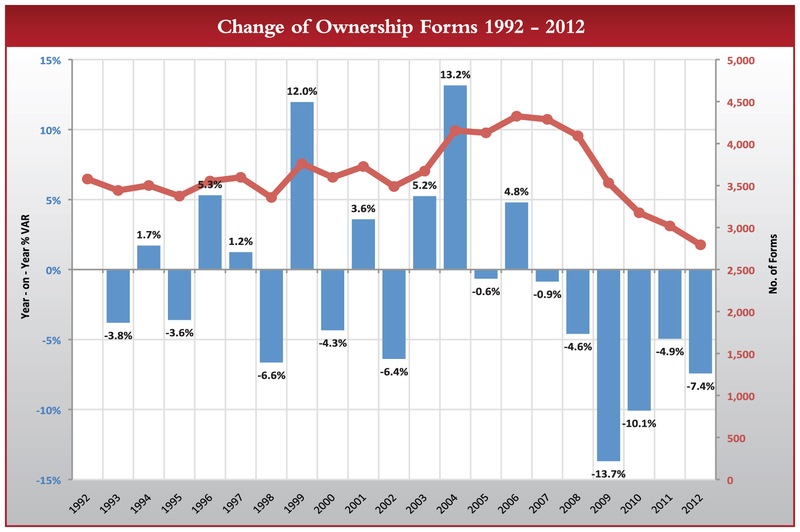 Whereas there is no known price index for the local real estate market per se, the change of ownership forms begin to paint an empirical picture of where the market has gone since the peak, albeit from a volume perspective. Prior to 2006, there is no discernable trend in the market other than a few bumps in the road that had likely causes (e.g. recessionary conditions in the early 90’s and 2001). Perhaps this confirms the long held belief that from a value perspective, the Barbados market was always characterised by periods of growth which are then flattened out intermittently by periods of inactivity, the latter characterised by a reduction in trading with no discernable decline in values. Notwithstanding that, this data illustrates the significance of the recession in the context of the last 20 years and the reality that this is uncharted territory for this market. With an understanding that trading volume is down 35% since the peak, the logical questions are: has the market reached bottom and when will the recovery take place? 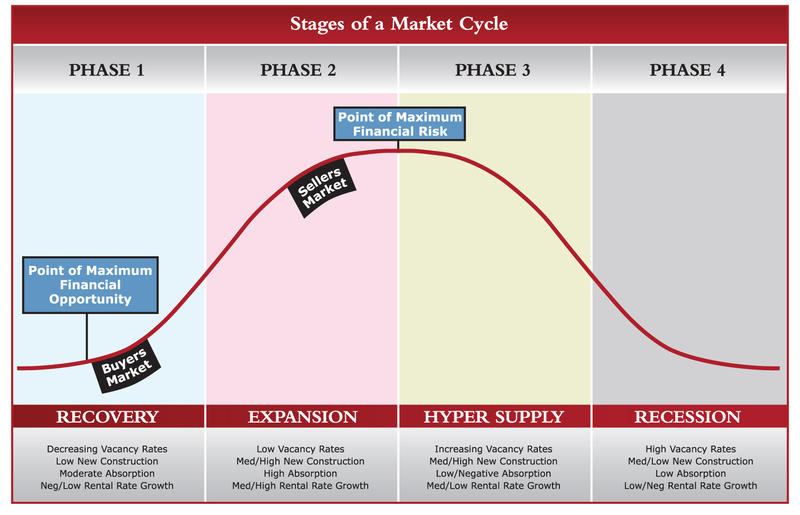 Typically bottom-cycle trading is characterised by high vacancies, foreclosures, an absence of speculation and a downward adjustment in construction costs. Generally speaking, the indications point to these trading conditions with some further adjustments expected in 2013 as the remaining distressed assets are flushed out of the banking system and further corrections take place in the oversupplied segments. The local segment usually lags the foreign (luxury) segment so in all likelihood the latter is marginally ahead in the curve. In the first quarter of this year we have seen a number of vendors and developers re-pricing their properties and in some cases eliciting an immediate reaction from the market. This signals an acknowledgement of the reality of the market and is a positive step towards the next phase of the cycle. The reality is it’s still too early to tell what the shape and timing of the recovery will look like, but conventional thinking points to a stabilising of pricing throughout the next 12 months followed by a very measured pace of growth initially (one to two hundred basis points annually which is in line with GDP forecasts). There is sufficient evidence to suggest that from an overall risk perspective (see Figure 2.) now is the ideal time to get back into the market. In a small and imprecise market it is futile to attempt to time the market at exactly the point of recovery, and those that do will likely find themselves buying into the expansion phase. Values are likely flattening now and bottom-cycle cap rates will translate into better yields on income producing properties. The expectation is also that the market will recover within an improved regulatory and lending framework where all participants appreciate the importance of a qualified valuation opinion. Perhaps where the biggest structural overhaul is required is in the area of real estate development financing, where in some instances the level of feasibility analysis has been remarkably unsophisticated. Suffice to say that some developers and lenders appear to have been more focused on the magic rather then the logic in some of these projects. As a largely self-regulated industry, it is also incumbent on us as professionals (valuers, brokers and agents) to hold ourselves to a higher standard and understand the obligation we have to better advise our clients particularly as it relates to price the market begins to improve. History tells us that there will be another credit-fuelled bubble at some point, and if Mr. Hoyt’s theory holds true it will be somewhere around 2025. For more informative articles, take a look at the digital version of The Red Book 2013 available on our website.